Too much of a good thing is a really good thing. It’s the Wisconsin way of life, and we live it every day. So our burgers and curds are always super-sized, the beer is always flowing, and the people who serve you know you by name. Welcome to Milwaukee Burger Company. Where we not only live and breathe Wisconsin, we eat and drink it too. Stretch your Angus wings and go on a delicious, meaty adventure. Whether you build your own or choose one of our 20+ specialty burgers, be prepared to open wide. The only cure for too much cheese is more fried cheese. If you’re looking for a clean break from the traditional burger, this is it. Double provolone, marinara, and Giant Mozzarella Curds. Put your taste buds on alert for a jalapeño attack. It may be dressed like a steak, but it’s still a Milwaukee burger. 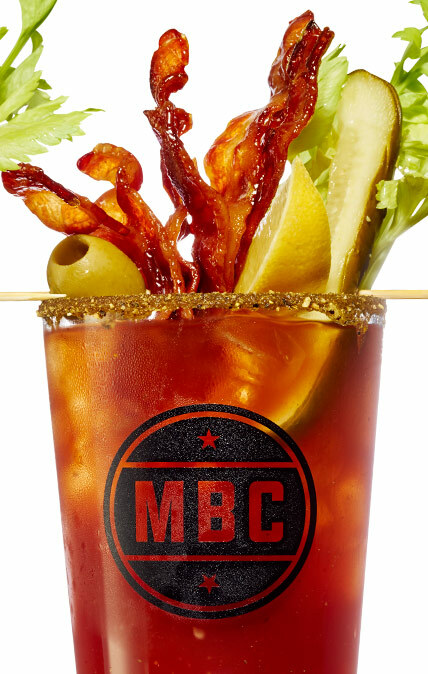 MBC Premium Grind Beef, topped with our candied bourbon sauce. Oh yeah. Blueberry marinated patty topped with everything but the kitchen sink. Potato chips on your burger? Yup, it's delish. Smoked cheddar and brown sugar bacon with every bite. You’re welcome. We’ll donate $1 to feedingwi.org for each one you order. 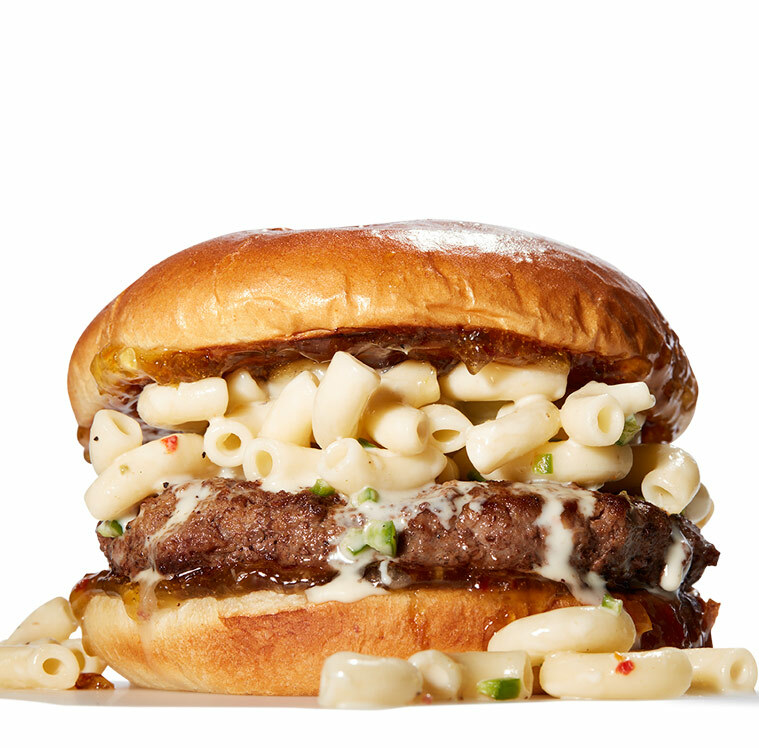 Topped with pepperjack mac & cheese, hot pepper jelly and jalapeño. Double cheeseburger with chicken fried bacon. Not for the faint of heart. Start with 2 lbs of beef, 2 buns and 8 slices of cheese. 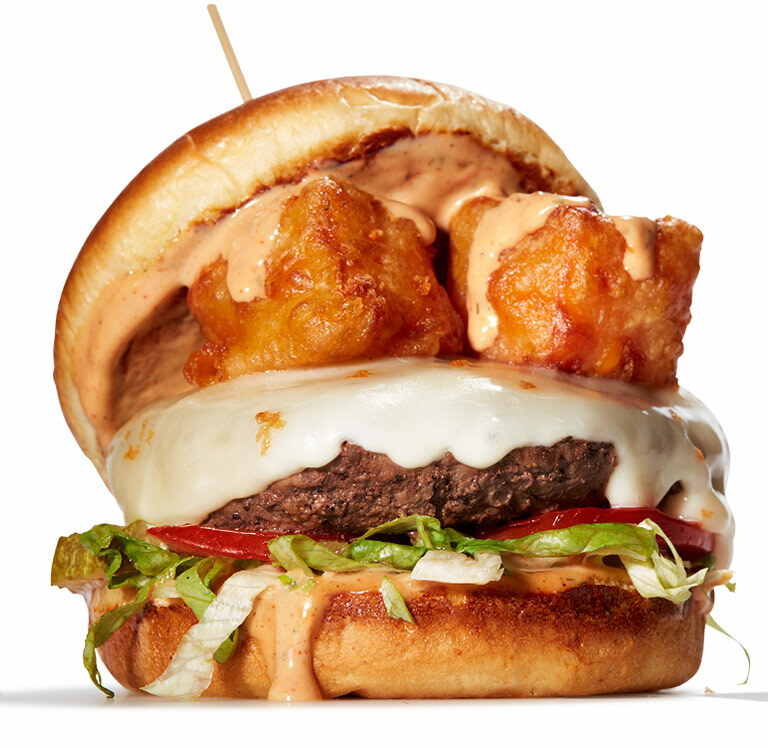 Then we pile on our favorite toppings, sauces and curds. 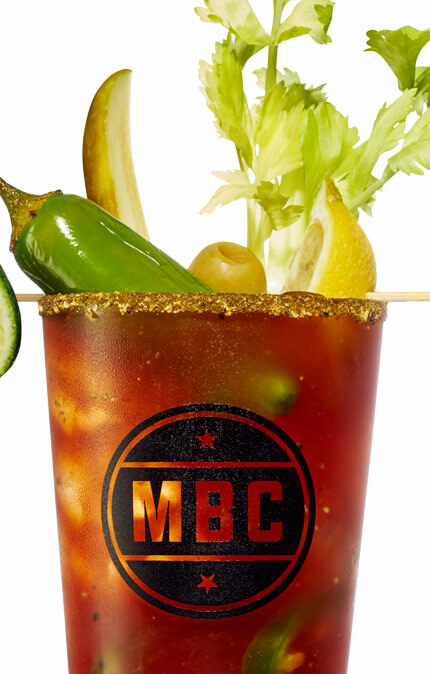 Eat this delicious monster in under 30 minutes and you’ll get an MBC T-shirt and your mug on our social media. Are you up to the challenge? Prove it. From the best curds in Wisconsin to wings to dips and chips. Before you get to the main course, grease the wheels with some of these heavy duty apps. 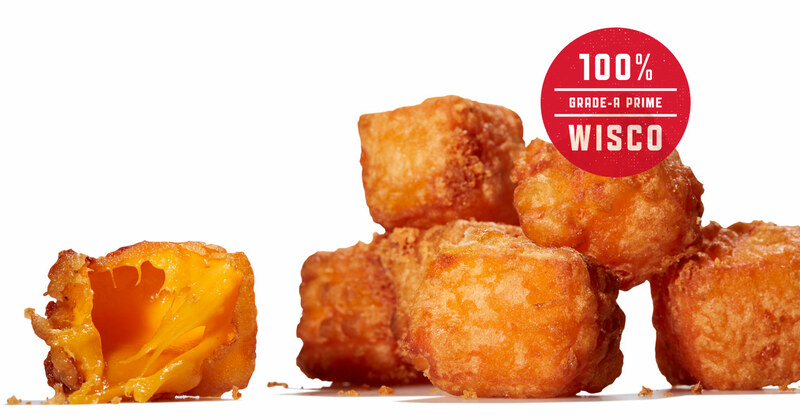 Our specialty — curds so big they’ll make your mouth water and your jaw drop. A coat of dense batter can’t hold these pickles back. Served with chipotle ranch dipping sauce. Tarzan and Jane. Gilligan and the Skipper. Cold beer and hot wings. Need we say more? Canada’s gift to the culinary world. Fries, gravy and piping hot curds. From traditional fresh cut fries to supremely indulgent hog fries, your potatoes are calling you. Just fill ’er up with nachos, onion rings, brat bites and more. Heavy duty snackage at its finest. For those rare occasions when you’re not in the mood for a burger, we’ve got plenty of soups, salads and pub sandwiches to quell your appetite. Our headliner soups, Wisconsin Beer Cheese and Tailgater’s Chili, are a meal unto themselves. Same goes for our salad lineup that refuses to skimp on the protein. 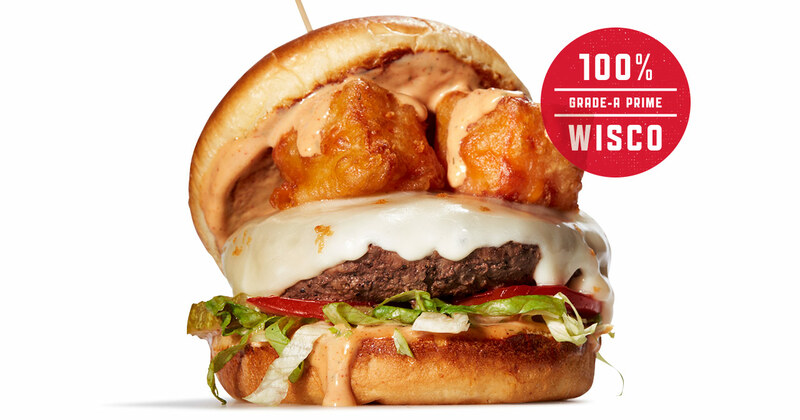 Pound for pound, these heavyweights have what it takes to go toe to toe with a Milwaukee Burger. Stout sammies like the Milwaukee Cheesesteak or Piled High Rueben are built to satisfy. 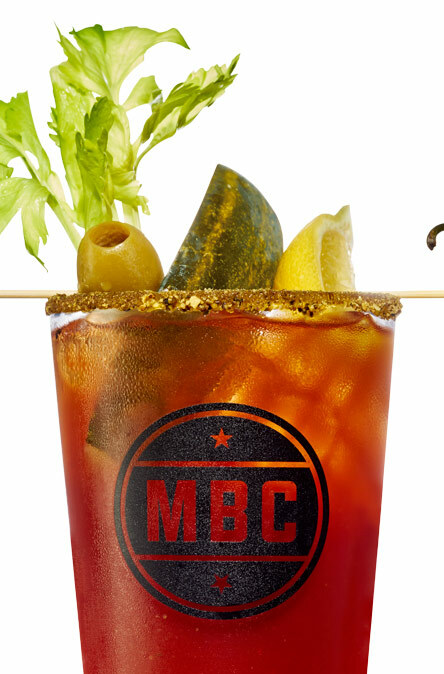 When you belly up to our bar, you’ll find an extensive tap lineup, giant bloodys, well drinks and other adult concoctions, all made to order. 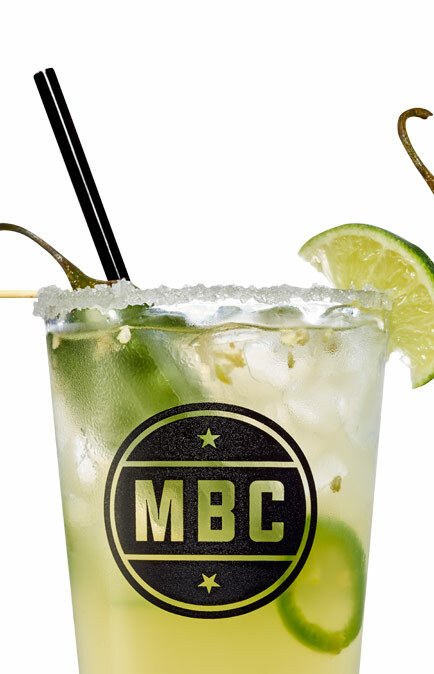 Stop in for the best happy hour around, or anytime it feels like 5 o’clock. 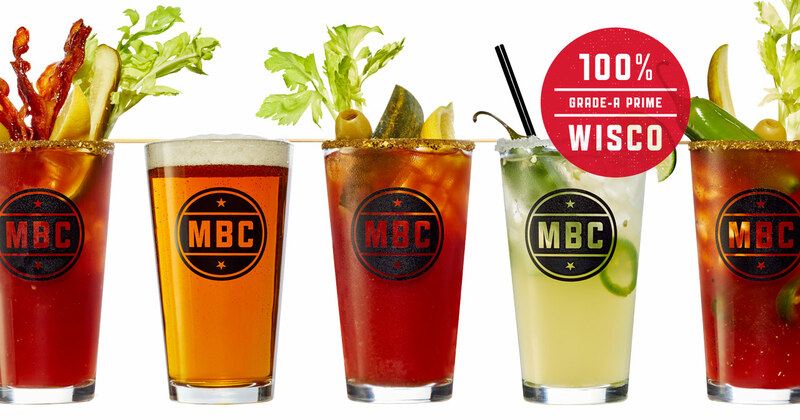 We love to support our local Wisconsin breweries plus some of the best craft beer from around the country. We prefer Madeline Island but you get the idea. Our tall teas are house-made. All specialty drinks are made to order and served with a bit of sconnietude. 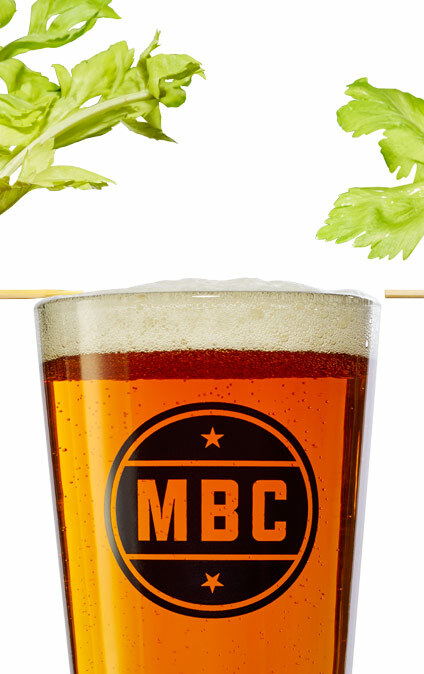 The taste of old Mexico served with a Wisconsin twist. Olé!